A real pic of an alien? do we look terminal ? but Beepers Puppy's looking good for having breast cancer . Bless your hearts for hanging in there Rog! Beepers is such a sweetie. I an't tell you how disappointed I was to see that pic. Hang in there old man. Don't go out without a fight. None of you looking any worse than yours truly. Yeah , only way I know . said : " F_CK THAT ! " guess it's hard to take us out . (02-27-2017, 06:30 PM)Accidental Stoner Wrote: Nice shot, kool puppeh. *sigh* We all are... and it's really getting ready to hot the fan in the next few days. Quote: On the 23rd of February 2017 a picture was uploaded to the popular website 4chan. Right after the picture of the alien was posted, the site was taken down and the thread was completely deleted. People were complaining that the picture that they saved to their harddrives got deleted and people that were talking about the picture were banned. A corrupted version of the picture was posted on several websites and people that saw the original picture said it was not photoshoped. The discription they gave was that of a reptilian like alien with yellow scales, dark black eyes and small pursed lips. It looks plastic to me. What do you guys think? Thanks for the info...I added to my Pinterest boards and will see if there is anything more to it. I imagine even if the original still existed there would be plenty of people that say it is a fake (with modern photo/video manipulation even amateurs can create realistic fakes if they wanted to), but it would be nice to see at least one high res photo for a change. I don't know if UFOs are real or not, but from what I have read so far there seems to be something going on for there to be so many sightings/events that the people in charge no longer even bother with checking out what is going on and instead just dismiss everything offhand. Just out of curiosity I did a Google map check of stardust ranch (where the owner has allegedly had several encounters with aliens) and Luke Airforce Base. It just so happens that they are both east of Phoenix and not that really that far from each other. Perhaps they are connected some way ..or perhaps they people setting up the hoax know about Stardust and using it and other local events to help their own story. Supposedly one of the tapes where he was interview had an alien sneaking around in the background and there have been photos taken of aliens nearby. 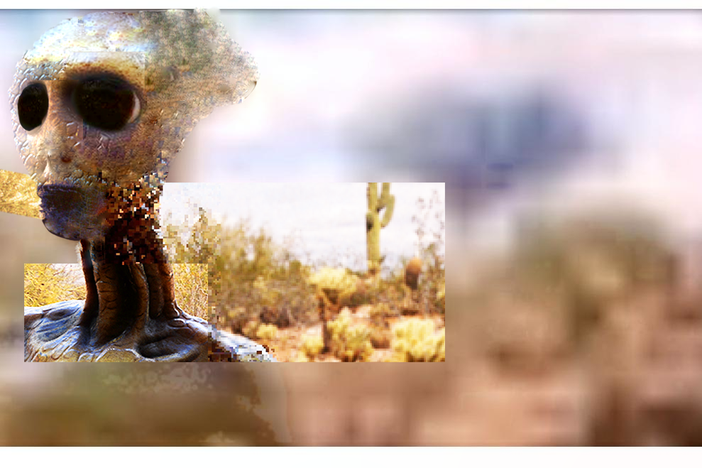 However the stardust aliens and the 4chan photo I think are different.